Posted in: HPI Racing, Radio Control. Tagged: Racing, RC, Ty Tessmann. This site is proudly Canadian and we want to post more Canadian content. RC is a steadily growing hobby in this region of the country and some people may not be familiar with the “Canadian Crusher”. 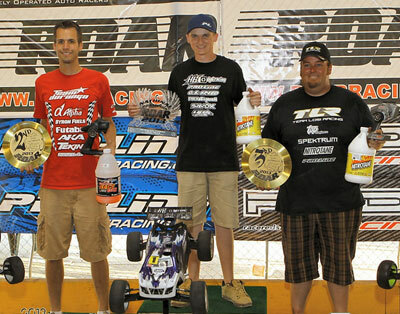 The “Canadian Crusher” aka Ty Tessmann is a professional RC Racer from Medicine Hat, Alberta Canada. The very successful 20 year old is a team driver for Hotbodies/HPI Racing. This year alone, he has raced in Texas, California and Arizona where he has entered 8 major events and won 6 of them. 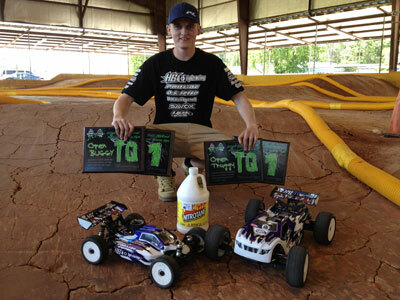 Ty Tessmann recently spoke with LiveRC for “Talk it Out Tuesday” where they discuss such things as his dominating performance in BOTH 2wd and 4wd classes, we also get his opinion on sugar coating tracks. This is great read about a great Canadian RC Racer, we don’t want to spoil it for you, or take credit for another persons work (Mike Garrison), so check out for yourself at LiveRC.Com Talk-It-Out Tuesday with Ty Tessmann. Ty’s next race is July 18-21, at the Hotrod Shootout in Santa Clarita, California, which just so happens to be sporting a new track layout. The smart money will be on Ty.